I just got my slicks, 32 x 14 x 15 and I went to put them in the wheel well and of course, it was tough because I really do not want to stretch them. Do any of you have stock wheel well opening with large tires and what do you do to make putting on or rotating your slicks, easier to do? Put them on deflated. Once they're on the axle, inflate them. My 68 Dart has a stock wheel well opening and that's how I got a 29" tire on it. You may have to trim the bottom edges a bit though for a 32" slick. 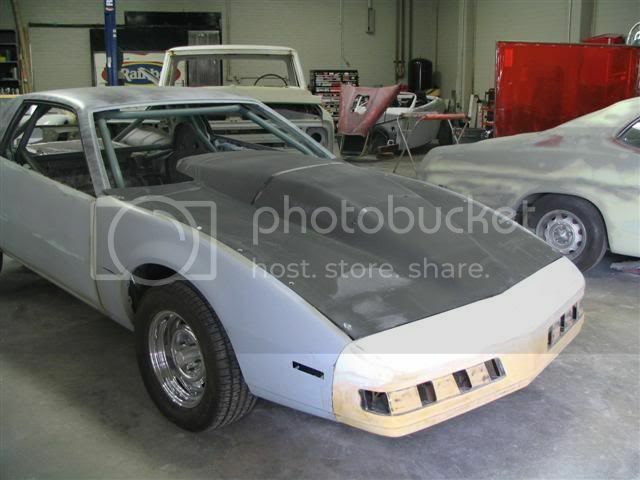 Maybe try finding some pics of Super Stock 69 Camaro's and look at their wheel wells. While it may be a pain getting them on and off, how much clearance do you have radially when they are on the car? Are you referring to tire growth? If so, that was already figured into the equation when I located my wheel tubs. I was told to add at least 2" for growth and if I remember correctly. I also have my adjustable shock mounts that I could move up just in case I felt they were too close, but I should be good to go. Yes, I was referring to tire growth, I see you've already addressed that. Guess you're mainly looking at getting the tire on and off the car. You should be glad you have a Camaro, they fit a lot tighter on a Nova. Thanks Tig, that was my next option. Bruce69Camaro wrote: Thanks Tig, that was my next option. Make sure you have enough slack in the brake line to drop the rear and check the driveshaft in the loops for clearance. sc racing wrote: Make sure you have enough slack in the brake line to drop the rear and check the driveshaft in the loops for clearance. Good point, I know the brake line is ok, but I forgot about the loop. Well - did you get them on? No not yet....I'm having issues finding someone that will do it because now they're worried about breaking the rims. All I need is the bead broken and I can do the rest using "spoons". I might leave early tomorrow and see if this one place will do them. They have a racecar in their shop so hopefully they'll agree to do them.